How do I choose a dentist? I am often asked this question by people who are moving out of the area or by old friends who live somewhere else who have just moved to a new community. There are many ways to deliver health care services. A nice way to choose a dentist is to start by deciding what priorities you have in your dental care. For instance, you may value a convenient location of the dental office. You may value a comprehensive care point of view on the part of the dentist and the dental staff. On the other hand, you may want so called a la carte dentistry. You may have an interest in as much prevention as possible. You might want someone who does everything, or you might want the very best in everything even if you have to be referred to a specialist for some of the work. Only you can decide what kind of dentistry you want. Once you decide what your priorities are, it will be much easier to find a dentist who will deliver services in that way. Conversely, not knowing what you want often leads to misunderstanding and frustration on the part of the patient and the dentist. If prevention is of utmost importance to you when you call a dental office for the first time, and it takes four or even six months to get in for a cleaning, this should make you wonder if your dentist also places high value in prevention. Sometimes this kind of delay is caused by a maternity leave or other sudden absence of part of the dental hygiene staff. However, sometimes the delay could signal less interest in prevention by the particular dentist than you have. When there is a long wait for a cleaning, a preventive minded dentist is actively looking for ways to reduce that wait. It is expensive and difficult to find pleasant and well trained dental hygiene support, but a preventive minded dentist will continue the search until every stone has been turned over. If your dental office informs you there is a many month wait for a cleaning, you might ask why that is, and what the office is doing to reduce that wait. This will help you to know how important prevention really is to your dentist. Trust is an indispensable component in a successful relationship with your dentist. Simple dental procedures are well understood by just about everyone. However, when there is a difficult treatment decision to make, trust becomes much more important. A dentist has to earn trust just like anyone else. Education of the patient regarding treatment choices and the treatment itself is part of building that trust. 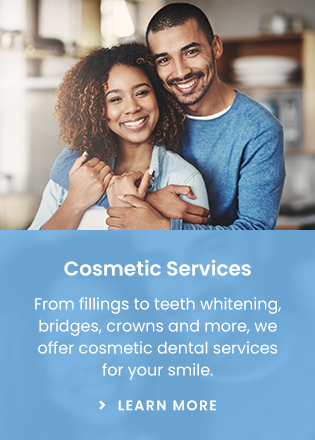 For instance, when you need a crown, are advantages and disadvantages of treatment options explained to you by the dentist and the dental staff? If not, you are being asked to blindly trust the dentist. Blind trust in health care professionals is not in vogue anymore and probably never really was. As well, trust is a broad package. How can you trust the treatment decisions of a dentist who waives the co payment required by your insurance company (labeled fraud by law enforcement officials), or who writes your prescription in your wife’s name because you no longer have insurance (also labeled fraud by law enforcement)? It is important that your dentist keeps up with the advances in dental science and materials. If you think nothing has changed in dentistry in 20 years, there could easily be a problem with currency of technique and materials at your dental office. As I have said before, something is not better just because it is new. In fact, sometimes the opposite is true. However, dentistry has changed for the better quite a bit in the last couple of decades. Those changes have resulted in work that lasts longer, is done in less time, and is more comfortable to receive. You should be able to benefit from those changes. How do you know if your dentist keeps up? Dentists who keep up are excited to tell you about the changes that have made the treatment you are receiving better and have enhanced their abilities. Start by asking your dentist what new items he and the staff have learned recently at dental courses. For a dentist who keeps up, this kind of question will lead to a lively discussion. For those patients who value location over all else, understanding that there are differences in the way treatment is offered and in the priorities of different dentists may help define more items that are valuable to you in addition to location alone. Just like anything else, the best way to find out is to ask some questions—of yourself first and then of the dental team you have selected. Dentistry is most effectively accomplished when the priorities of the dentist and the patient are fairly closely matched.